Israeli officers assaulted a Palestinian family in East Jerusalem on Monday, a Ma'an reporter said. The incident in Sheikh Jarrah was captured on film after a reporter happened to witness the event while driving through the Sheikh Jarrah neighborhood. "I saw Israeli police officers attacking members of the al-Ramadi family in the Sheikh Jarrah neighborhood of occupied Jerusalem. Police officers were attacking women with their fists and clubs and the internationally-banned pepper spray. Two women were evacuated to hospital," the reporter said. attacked after trying to help her son, who was being harassed by police officers. "I hurried to help my son, and they kicked me in the leg. I started to push them away, then they sprayed gas in my face, and I fell to the ground and couldn't stand up." "There was too much humiliation. They attacked my wife with clubs and they kicked her until she fell to the ground," Abu Firas al-Ramadi said. A spokesperson for the Israeli police, Luba al-Samri, is quoted in the report as saying that a young Palestinian man hurled stones in the area at an Israeli vehicle. She didn't comment on the attack on the al-Ramadi family. 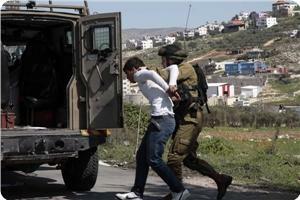 Israeli Occupation Forces (IOF) have carried out at dawn Tuesday arrest and raid campaigns throughout the West Bank. In Jenin, IOF soldiers broke into several houses and arrested a citizen after attacking others. IOF soldiers in 15 Israeli military vehicles stormed Jenin at dawn today and broke into five houses, most of them owned by Palestinian liberated detainees. The soldiers field interrogated a number of former prisoners and threatened them with arrest in the event they indulged in any political activity. Eyewitnesses confirmed that Israeli forces' raid continued till early morning hours, adding that the soldiers set up a number of checkpoints in different neighborhoods. The sources pointed out that IOF soldiers stormed Anza village, south of Jenin, Tuesday morning and arrested 26-year-old Firas Abdul Hashim and took him to an unknown destination. On the other hand, 11 Palestinians were arrested after raiding their homes in different parts of the West Bank under the pretext of being wanted for Israeli security apparatuses. Local sources in Bethlehem confirmed that three young men were arrested in Battir town west of Bethlehem by Israeli forces before being taken to an unknown destination. In Aida refugee camp north of Bethlehem, Israeli forces arrested a young man after raiding and searching his home along with other homes in the camp. In al-Khalil, Israeli forces stormed at dawn today different parts of the province including Idna, Dhaheriya, Dora, and Halhul, and erected number of checkpoints on major roads in the province. IOF soldiers stopped and searched Palestinian citizens who were passing through the checkpoints. Some of them were detained for few hours. In Nablus, at least one person was arrested when Israeli forces stormed the city at dawn Tuesday. Eyewitnesses said that clashes erupted as Israeli forces stormed a Palestinian building and arrested a young man amid heavy gunfire. Since the early morning hours, Israeli forces have deployed in different parts of Nablus and conducted combing operations. Israeli forces set up a checkpoint at the entrance to Burin town, south of Nablus, after the burning of three vehicles belonging to settlers in the town. Israeli violations against the Palestinian people and their property continued throughout the day, on Monday May 12, 2014, with attacks and abductions occuring in various regions of the West Bank, including Qalqilia, Jenin and Bethlehem. Sixteen people were kidnapped by Israeli forces in the West Bank, today, most of them from the district of Qalqilia. Another was summoned for interrogation, according to reports by local and security sources. The army invaded the village of Kafr Qaddum, abducting 14 people, most in their twenties of age, after raiding their homes, Palestinian News & Info Agency WAFA has reported. In Bethlehem, the Israeli army kidnapped one 30-year-old man after storming and searching his home in Deheishe refugee camp, where they fired stun grenades in the streets. No further arrests were reported, however a gas canister, fired early Monday by Israeli forces, set a vehicle on fire in the camp, according to a security source. In the meantime, Israeli soldiers raided the village of al-Me’sara, south of Bethlehem, invading and searching the home of Hassan Burejeyeh, coordinator of the anti-settlement committee. A 20-year-old, in the nearby village of Marah Rabah, was served with a summons to appear for investigation at Gush Etzion. In al-Khader, south of Bethlehem, Israeli forces fired a tear gas canister toward a local school, according to an activist. Ahmad Salah, coordinator of the anti-settlement committee in the village, said that soldiers fired a tear gas canister toward one of the school's windows, injuring a 14-year-old student who received first aid at the scene, WAFA went on to say. Israeli violations have been rapidly increasing since Israeli soldiers stormed the same school, where they arrested two students, last Sunday. 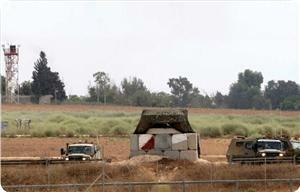 Also on Monday, Israel declared Zababdeh, to the south of Jenin, a closed military area. Security sources said that soldiers stormed the town, setting up several military checkpoints before declaring it a closed military zone, upon which they conducted a large-scale search operation, inspecting vehicles and examining ID cards. In the village of Nabi Samwil, to the northwest of Jerusalem, residents are suffering from a lack of food and cooking gas due to Israel’s denial of entry, according to a local activist Eid Barakat, who said that Israeli forces tightened their blockade on the village and set up a military checkpoint at its entrance. He added that Israeli forces have prevented the entry of food items and cooking gas into the village for weeks, now, according to the WAFA report, in addition to obstructing the movement of villagers in and out of the village, where residents are being forced to leave due to the harsh conditions of land seizure for settlement construction, which has displaced them from the community. More than 500,000 Israelis live in illegal settlements across the West Bank and East Jerusalem, in direct contravention of international law and with full complicity of Western governments, in the form of billions in foreign aid and weapons, each and every year. Dozens of Israeli soldiers surrounded the al-Quds Open University, and a number of schools, in Abu Dis town, near occupied East Jerusalem, and clashed with local youths causing dozens of injuries. The Maan News Agency said the soldiers invaded the area to close a gap, created recently by local youths, in the Annexation Wall. Coordinator of the Popular Committee against the Wall and Settlements in Jerusalem, Hani Halabiyya, stated that dozens of soldiers invaded the area, especially where the gap is located near the Al-Quds Open University, leading to clashes with dozens of local youths. Halabiyya said the army surrounded the University, and fired dozens of rubber-coated metal bullets, gas bombs, concussion grenades and several rounds of live ammunition, especially targeting the Engineering College and Computer Science Department. ‘Ala Bassa, a local medic working for the al-Eezariyya Local Council, told the Maan News Agency that dozens of Palestinians, including students of the Abu Dis School for Males, the Abu Dis University and the Arab College, suffered the effects of tear gas inhalation. He further stated that several Palestinians, (including two who were injured by rubber-coated bullets and nine of those who suffered the effects of tear gas inhalation), were moved to a local clinic; the rest suffered mild injuries and did not require further medical attention. All students and staff of the attacked educational facilities were sent home due to the intensity of gas fired by the invading soldiers. Israeli soldiers invaded different Palestinian neighborhoods in Kufur Qaddoum village, east of the northern West Bank city of Qalqilia, and kidnapped 14 Palestinians. One woman was also kidnapped near the northern West Bank city of Jenin. Local sources said dozens of soldiers invaded the village, during late night hours, and violently searched dozens of homes, and kidnapped fourteen Palestinians. The kidnapped residents have been identified as Abdullah Rajab Jom’a, 25, Ja’far Jom’a, 24, Bassam Walid Barham, 21, Harb Jom’a, 32, Odai Barham, 20, As’ad ‘Amer, 23, Mohammad Abdul-Rahman Eshteiwy, 32, Dia’ Jom’a, 24, Atwa Abdul-Latif Jom’a, 22, Ra’ed Taiseer Barham, 20, Mos’ab Daoud Hussein, 25, Sami Barham, 30, Ra’fat Mofeed Barham, 26, and Anas Waleed Barham, 24. All kidnapped Palestinians were cuffed and blindfolded by the soldiers before they were moved to a nearby security and military center. In the Jenin district, in the northern part of the West Bank, soldiers kidnapped the wife of a Palestinian political prisoner from Arraba town, and invaded homes and a structure. The Palestinian News & Info Agency (WAFA) has reported that the army kidnapped Fida’ Hosni Sheebany, the wife of detainee Mustafa Sheebany, who was taken prisoner by the army in 2003, and is serving three life terms. WAFA said the soldiers searched the Sheebany residence, and ransacked its property, before invading and searching a home and an agricultural structure that belong resident Husam Sheebany. The family said the army interrogated them or several hours, and forced them out of the homes while searching them. Soldiers also invaded and searched the homes of Taiseer Ghawadra, and his sons Waseem, Baseem, and Odai. Property damage has been reported. In Bethlehem, dozens of soldiers invaded the Deheisha refugee camp, south of the city, violently searched several homes, and kidnapped one Palestinian. Eyewitnesses said resident Ibrahim Yahia Da’amsa, 30 years of age, was kidnapped by the soldiers who later moved him to the Etzion military base for interrogation. Soldiers also invaded the homes of Bassem Abdul-Rahman al-Hasanaat and Ali al-Afandy, and violently searched them. 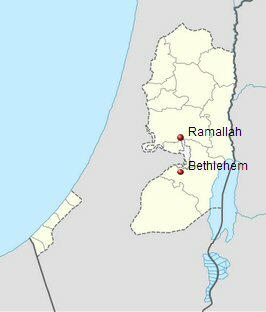 The Radio Bethlehem 2000 has reported that the soldiers surrounded the area of the Bethlehem Central Market, near the Deheisha refugee camp, and prevented the residents from reaching it. 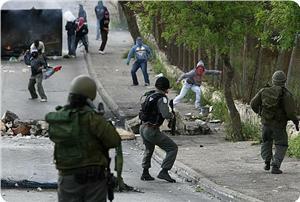 The soldiers also fired several concussion grenades at the Palestinians in an attempt to remove them from the area. Israeli navy gunboats opened heavy machinegun fire at Palestinian fishing boats off the coast of southern Gaza Strip on Sunday night. Nizar Ayyash, the chairman of the fishermen syndicate, said that the incident took place off Rafah coast, adding that no casualties were suffered. 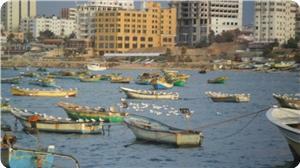 Israeli gunboats routinely open fire at Palestinian fishermen in the event they crossed the six nautical miles radius allowed for their fishing, which killed a number of them and wounded others. At approximately the same time Israeli occupation forces (IOF) raided southern Gaza on Sunday night. A field observer said that IOF soldiers advanced into north eastern Khan Younis amidst heavy over flights of warplanes. He said that the soldiers were shooting at two Palestinians who tried to infiltrate the Gaza border fence into 1948 occupied Palestinian land. A Palestinian man was injured in Israeli occupation forces’ shooting north of the Gaza Strip on Sunday morning while shooting in southern Gaza at farmers did not cause any casualties. Dr. Ashraf Al-Qudra, the health ministry spokesman, told the PIC reporter that a 33-year-old man was hit with a bullet in his foot near Beit Hanun (Erez) crossing in northern Gaza Strip. 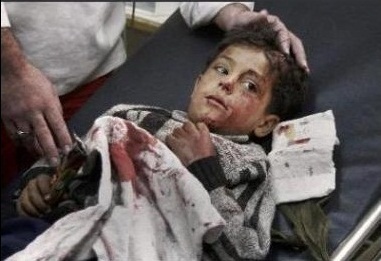 He said that the wounded man was taken to Awda hospital in Beit Hanun town. 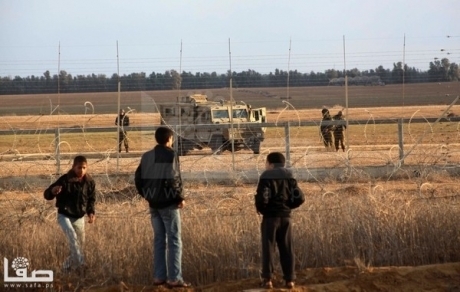 Meanwhile, IOF soldiers in military watchtowers east of Khan Younis, south of the Gaza Strip, opened machinegun fire at Palestinian farmers while working in their land near the border fence on Sunday morning. The PIC reporter said that the indiscriminate gunfire forced the farmers to leave their land, adding that no casualties were reported. Israeli occupation forces (IOF) raided the city of Salfit, north of the West Bank, on Sunday morning. Local sources said that young men threw stones and empty bottles at the invading forces, who fired teargas and rubber bullets to disperse them causing many cases of suffocation and dizziness among inhabitants. They said that IOF patrols roamed the streets of Salfit and detained a number of young men for field interrogation but no arrests were reported. 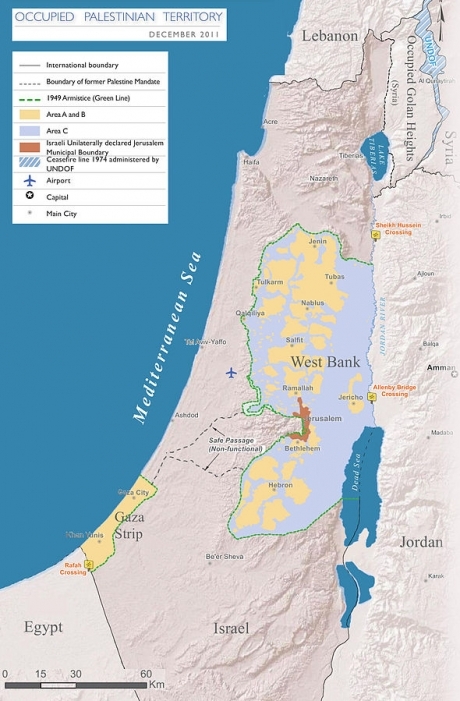 Several Israeli military jeeps invaded, on Sunday morning [May 11, 2014] Methaloon town, south of the northern West Bank city of Jenin, and clashed with local residents leading to several injuries. 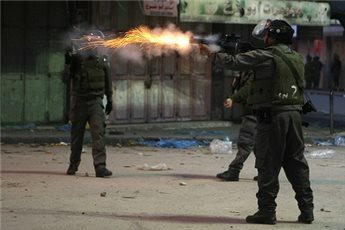 Eyewitnesses said the soldiers invaded the center of the town, and fired rounds of live ammunition, rubber-coated metal bullets and several gas bombs, causing several Palestinians to suffer the effects of tear gas inhalation. All wounded Palestinians received treatment by local medics, as their conditions did not require hospitalization, medical sources said. The soldiers also broke into and violently searched several homes in the center of the town, and interrogated the residents. Earlier on Sunday, soldiers invaded various districts in the occupied West Bank, and occupied East Jerusalem, and kidnapped three children in Jerusalem, one child in Hebron, and a Palestinian worker from Hebron, at a construction site in occupied Jerusalem. Israeli soldiers, manning military towers across the border with Gaza, opened fire at Palestinian farmers working in their lands, east of Khan Younis, in the southern part of the Gaza Strip. Eyewitnesses said the soldiers fired several rounds of live ammunition at the farmers while working in their own agricultural lands, located between Khuza’a and Abasan towns, east of Khan Younis, forcing them to leave their lands fearing additional attacks. Israeli soldiers repeatedly attack Palestinian farmers and workers, working in areas close to the border in the northern and eastern part of the Gaza Strip. The attacks led to dozens of casualties and arrests. On Friday, May 9, several Israeli military vehicles and bulldozers invaded Palestinian agricultural lands, east of Khuza’a town, east of Khan Younis, and uprooted the lands while firing rounds of live ammunition. 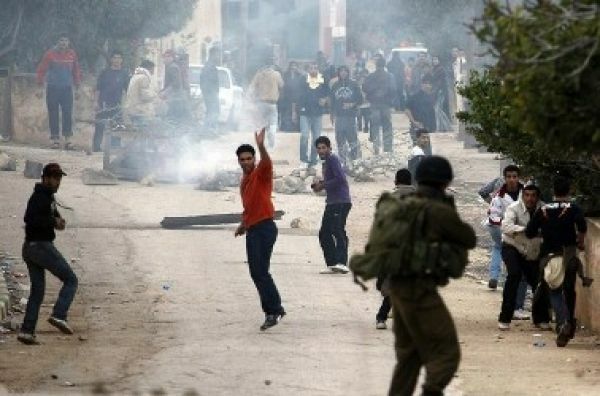 Large numbers of Israeli occupation forces (IOF) raided Berqin village, west of Jenin, on Saturday morning for the second day running and attacked citizens and their property. Local sources said that the soldiers closed all entrances to the village and arrested the 17-year-old boy Mohammed Hamamde from his family home. They said that the soldiers also destroyed the car of Ahmed Murtada that was parking in front of his house in downtown. The sources said that confrontations were still ongoing and that the soldiers were using teargas canisters that caused breathing difficulty among many inhabitants of the village. 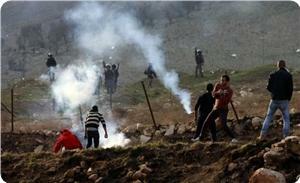 Seven Palestinians were treated for gas inhalation in the village on Friday morning in similar confrontations. Local sources told the PIC reporter that IOF soldiers in ten army vehicles raided the village on Friday morning and picked citizens at random for field questioning. They said that young men gathered and threw stones at the invading troops who retaliated by opening heavy firing of rubber and live bullets in addition to teargas.